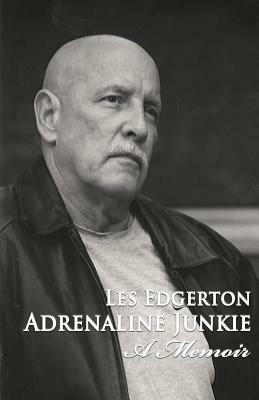 Adrenaline Junkie is more than a renowned, multi-award-winning author entertaining with his life history. Les Edgerton understands that backstory matters. It influences the present. So he journeyed through his past seeking answers for why he was the way he was. Seeking answers for his thrill-seeking, devil-may-care, often self-destructive, behaviors. Seeking a sense of personal peace. Why was he compelled to be the best he could be in all his endeavors--legal or otherwise. What drove him to excel, then flee success, only to strive for supremacy in another field? Adrenaline Junkie holds the answers. With nothing held back. With his life-saving humor, an indomitable spirit, and a fierce courage to expose the ugly and painful. Like the tough, raw, vulnerable characters Les writes about in his short stories and novels, he exposes us to a man fighting against family, society, and his own sense of injustice. Fighting for a moment--regardless of how fleeting--to feel in control of his life. And, as uncomfortable at times as Les's life adventure may be for us to witness, we come away grateful he took us with him. So settle back. Meet a real-life, twenty-first-century Renaissance man. A real-life adrenaline junkie.